Mt. 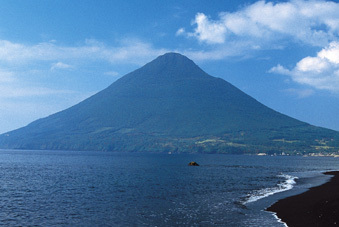 Kaimon is called 'Satsuma Fuji' from its elegant appearance. 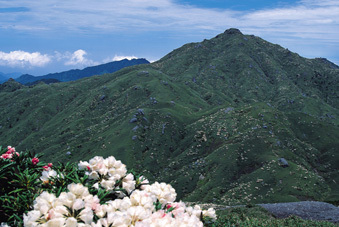 It takes 3 hours to climb up to the top from which you can enjoy the beautiful panoramic view. It takes 2 hours to go down. An annual climbing competition is held here in the middle of March. When you are in the deep forest, you will feel moving-emotion, respect and vitality of wild lives. Some of the island's cedars which called 'Yakusugi' are thousands of years old. The oldest one which is named 'Jomon Cedar' is estimated to be over 7,200 years old. There are also amazing places to see with a rich and valuable heritage to see, such as 'Yakusugi land', 'Shiratani Unsui canyon'. All range of anglers can enjoy fishing here from beginners to the experienced and serious. There is plenty of game fish, and there are a lot of places which are rich in game. We are welcome to arrange reservations of fishing boats. Tanegashima Island is the last island before the Pacific Black Stream (Japan Current) reaching to the main island of Japan. The rocky stretch here has the best fish beds thanks to the abundant Pacific Black Stream. There are various ways to fish here. 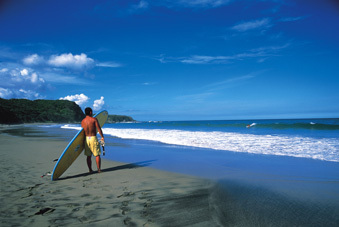 Several top surfing spots scatters all over the beaches on this island. Tanegashima is a paradise for surfers who look for ideallic conditions and perfect waves.